Arranged as two separate accommodations, lovely open views and walking distance to local amenities. Ideal for a group or two families on holiday together. 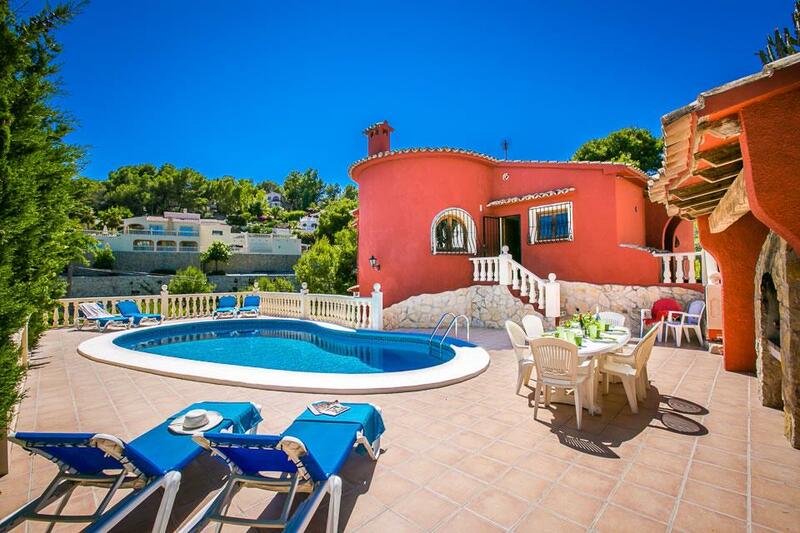 A short drive to Moraira village and golden sandy beaches. Pool Table. 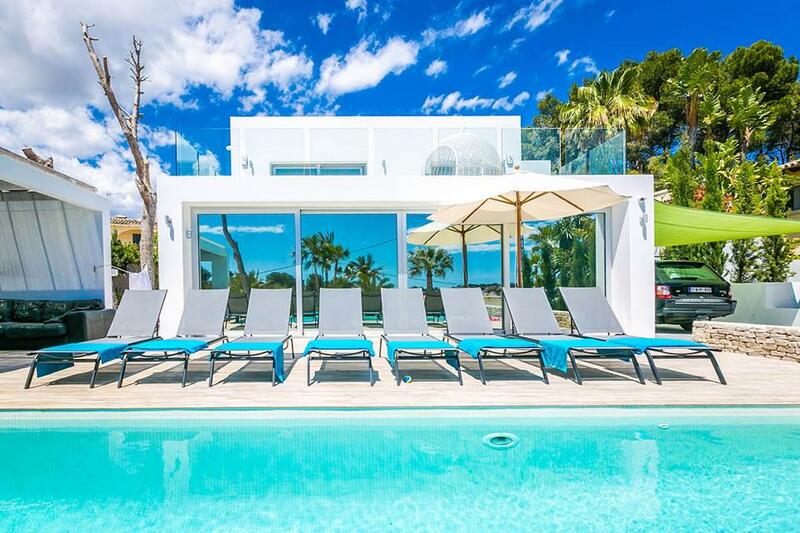 Vista Colina offers flexible accommodation, a private pool with dolphin water feature and well-tended gardens. 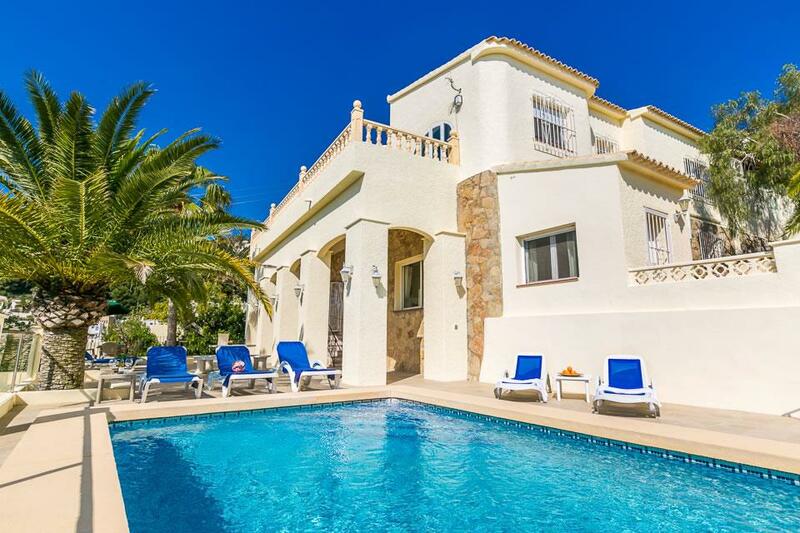 It has been upgraded and thoughtfully furnished to enhance your holiday in the sun! A comfortable and flexible holiday villa. 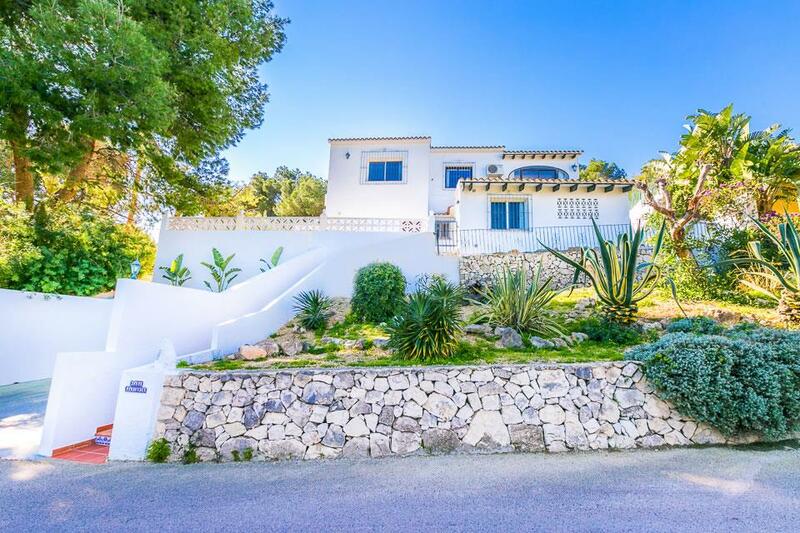 Situated in a quiet residential cul-de-sac the villa is accessed via double ornamental gates to a private driveway for two cars. Double French doors lead into the lower (pool level) apartment. There is a spacious lounge/dining room with comfortable sofas and a flat screen TV with U.K. channels. The independent kitchen has a feature fire place, a range of base level units, cooker, hob, fridge and microwave. An inner hallway leads to two bedrooms, one double and one twin. These bedrooms share a shower room with walk-in shower, vanity wash hand basin and toilet. The washing machine is also housed here. An external staircase leads to the upper apartment (there is no internal access between the two). A large glazed Naya (conservatory) with quality dining set and attractive beamed ceiling provides excellent views over the pool and to the hills and valleys in the distance. The Naya is ideal for relaxing with a drink, eating or reading that promised holiday novel. A door leads into the spacious lounge/dining room with a large sweeping bay, modern wood burner and a flat screen smart TV with U.K. channels and DVD player. Comfortable leather sofas add a touch of flair, with an oak dining set and matching units, the room is bright and airy. An inner hallway leads to three bedrooms, two doubles with air conditioning and one single with single bed and side cupboard. These bedrooms share the family bathroom with bath with shower over, vanity wash hand basin and toilet. The independent kitchen has eye and base level units, an oven, hob, fridge/freezer and microwave. Outside the 8 meter x 4 meter private pool has Roman style steps, an attractive dolphin water feature and a pool-side shower. There is also large gazebo with attractive curtains providing an excellent rest from the sun whilst dining or relaxing. The brick built charcoal BBQ provides for Al-Fresco meals by the pool. New addition for this season a pool-side Pool Table!! There are neatly tended gardens with Mediterranean plants, palm trees and various sunny and shaded areas. To the rear of the property is a small orchard with Orange, Lemon and Nisperos trees!! 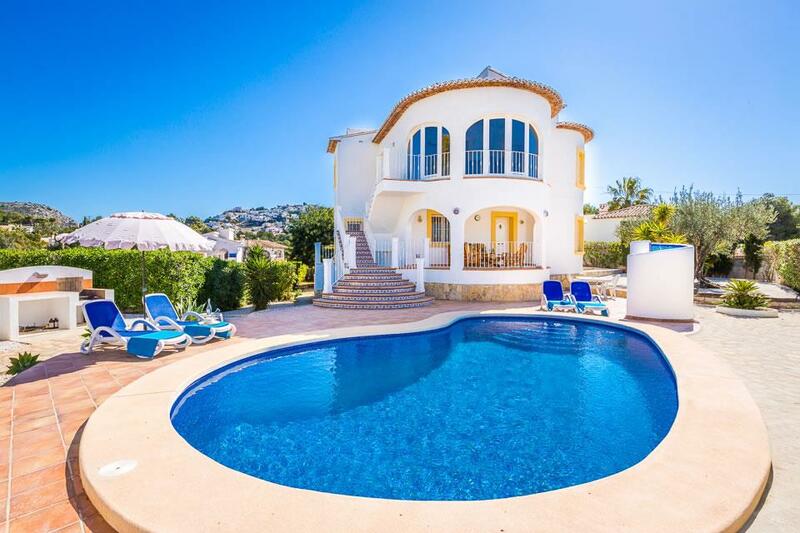 Villa Vista Colina is ideal for two families or an extended family as it offers flexible accommodation for those holidaying together but wishing for a degree of privacy and independence.